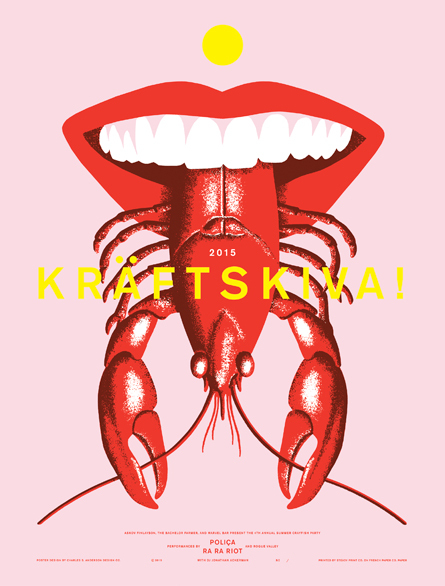 Kräftskiva, which is Swedish for “crayfish party,” is a summertime eating and drinking tradition held in many Nordic countries during the month of August. 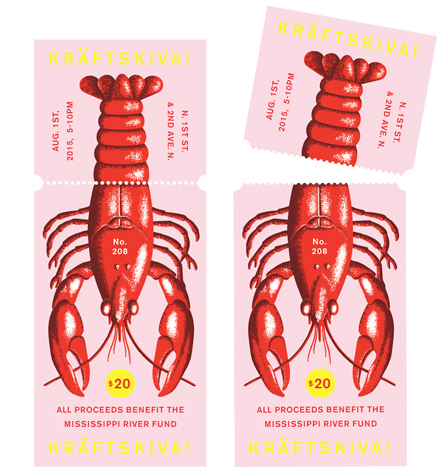 In Minneapolis, the Bachelor Farmer and Marvel Bar throw their own Kräftskiva event and bring the party to the streets of the Minneapolis North Loop. 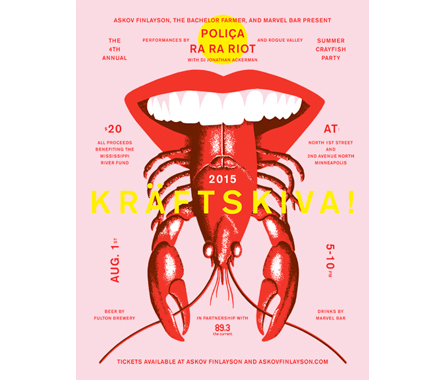 A poster and flyer were produced to promote the event. A ticket was also designed and produced.